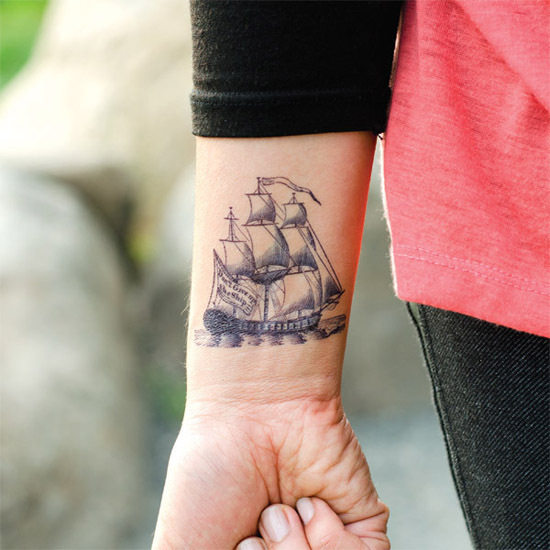 Fun little Tattly tattoos by BC-based artist, Fiona Richards of Cartolina Cards. 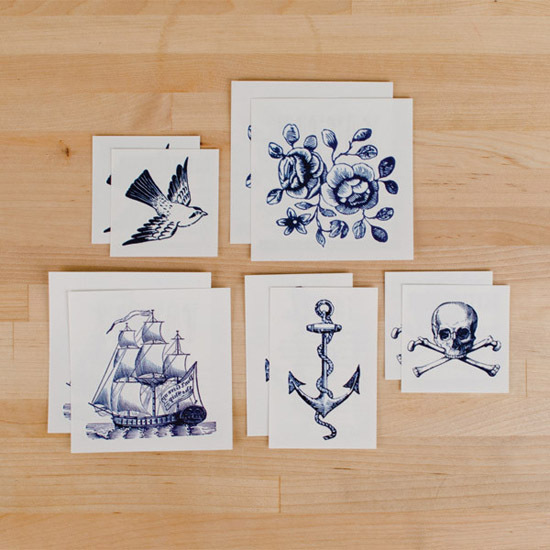 The set features five classic nautical motifs and as it states on the tattly site, "the slightly blue color gives these designs an authentic, porcelain-like look"! Check them out here. OMG! 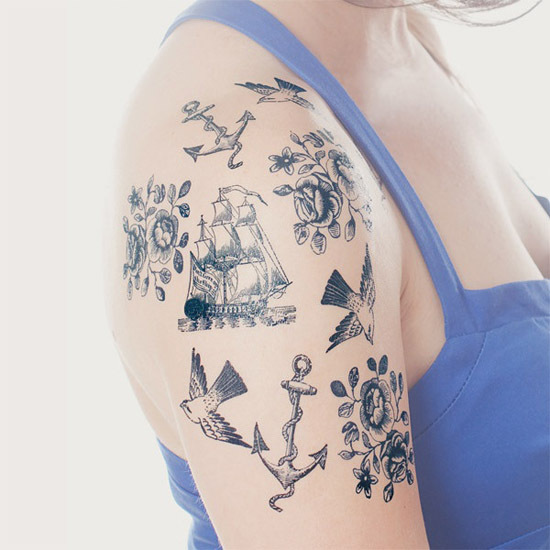 I love these temporary tatttos and all the tats at Tattly! So much freakin' fun! Must get some! And give to the nieces and nephew too! Aw, look at all these nice comments thank you so much!